This week, I was back at Roger Williams Park Zoo. 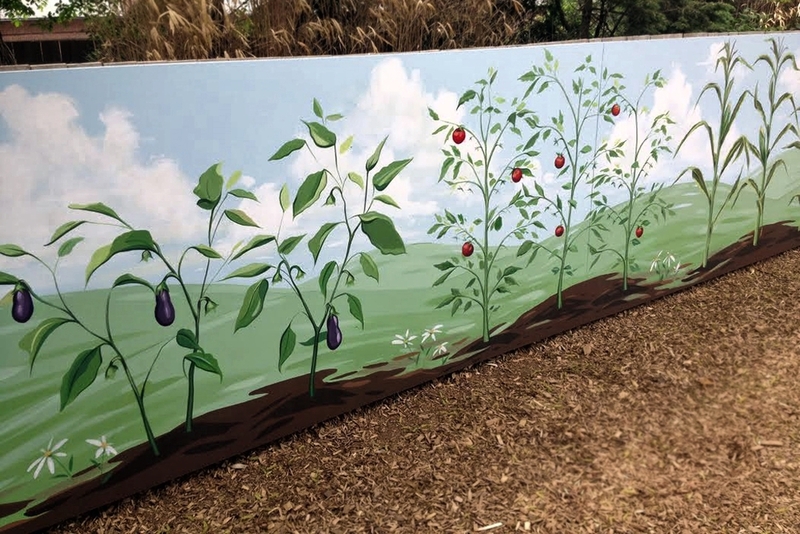 This time, I painted a garden mural in the Farmyard Exhibit. The little ones will be able to pick the vegetable right off the wall....plastic vegetable, that is. As always, it's a really pleasure to work with creative and hard working folks, at the zoo. This is the closest I will get to a green thumb. DETAIL OF EGGPLANT. TOMATO AND CORN! DETAIL OF CORN, CUCUMBERS & PEPPERS! Posted on May 27, 2015 by Sandra MacDonald and filed under MURALS and tagged ROGER WILLIAMS ZOO.